Check out this video of ReMix 2018. ReMix, an entrepreneurship summit for Denison by Denison, is a gathering of alumni and students for sessions and workshops on entrepreneurship, innovation, leadership, and creativity, and is specially designed to help alumni and students in their journey to learn and grow. 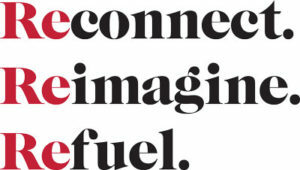 ReMix provides opportunities to re-connect, re-imagine, and re-fuel. Creators, visionaries, and innovators from a range of fields and industries provide the foundation, along with specially designed interactive sessions and workshops to take you a little bit out of your comfort zone and onto a path of growth and transformation. ReMix 2019 opens with a reception on Wednesday evening, continues with sessions and networking throughout the day on Thursday, and concludes with workshops on Friday morning. Join us and be inspired by the lessons that can only be found in the complete stories of your fellow alums – the real triumphs and tragedies of the entrepreneurial path. Creators, visionaries, and innovators from a range of fields and industries provide the foundation, along with specially designed interactive sessions and workshops to take you a little bit out of your comfort zone and onto a path of growth and transformation. It’s where many of our entrepreneurial lives all began, our home on the hill, at Denison. A gathering of enterprising Denisonians, for enterprising Denisonians, by enterprising Denisonians. The content and the sharing of stories will catalyze emerging entrepreneurs and re-invigorate experienced entrepreneurs. An opportunity for networking and building connections among Denisonians who are doing things you never realized. A celebration of the Denison entrepreneur community, their innovations, and achievements. Alumni and current students who are entrepreneurs, innovators, creators, and change agents. All levels of experience. Any industry. Any class year. Our Denison network has undeniable firepower, people of skills and experiences, knowledge and successes that we can share with one another. This opportunity will contribute to your own professional growth and development, regardless of where you are in your career. The content and the sharing will catalyze emerging entrepreneurs and re-invigorate experienced entrepreneurs. This is an opportunity for meaningful engagement among entrepreneurial Denisonians. You won’t want to miss this sharing of stories, experiences, and knowledge. This event helps Denison claim a global leadership role and celebrate our true DNA as entrepreneurs. WHY IS THIS THING CALLED REMIX? It’s an opportunity to remix the energy, intellect, and passions of Denison alumni and students, amplifying the value of their accomplishments and the impact of their Denison experience. We’ll re-connect with peers and classmates and build new relationships across class years and generations of Denisonians. Capacity is limited, so be sure to reserve your spot today. You won’t want to miss this inaugural celebration of Denison alumni.